Two men were briefly detained for their alleged involvement in a series of fatal hit-and-run accidents, police said Tuesday. The 27-year-old and 25-year-old suspects, surnamed Suh and Park respectively, were booked without detention on charges of leaving the scene of a multiple-vehicle accident, according to Gyeonggi Icheon Police Station. Suh is accused of hitting a 43-year-old victim, who had passed out on the road toward Majang-myeon, with his Tivoli at 1:30 a.m. Saturday. Suh reportedly returned to the scene of the accident four minutes later, but fled again without calling the police or ambulance. Shortly after the first hit-and-run, Park ran over the victim a second time with his Kona, but also fled the scene. The victim was discovered by another driver nearly 20 minutes later. He died soon after he was transported to a hospital. Police were able to track down the suspects after checking security footage from the other cars. The victim was reportedly returning home after drinks with his colleagues. 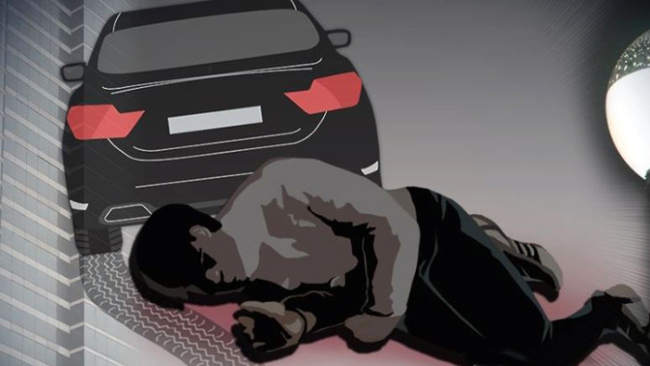 Police could not determine how the victim ended up lying on the road due to a lack of traffic cameras in full view of the accident. Police plan to hand over the case to prosecutors after receiving a full autopsy report from the National Forensic Service.